All right Crafty Cask scientists, in today’s lesson we’re talking vodka. Since we spent our college days spiking our juice or having gummy bear-infused shots, vodka tends to get a bad rap. Even our founder used to say (proudly, I’ll add) that “she wasn’t a vodka girl”…but how that has changed! 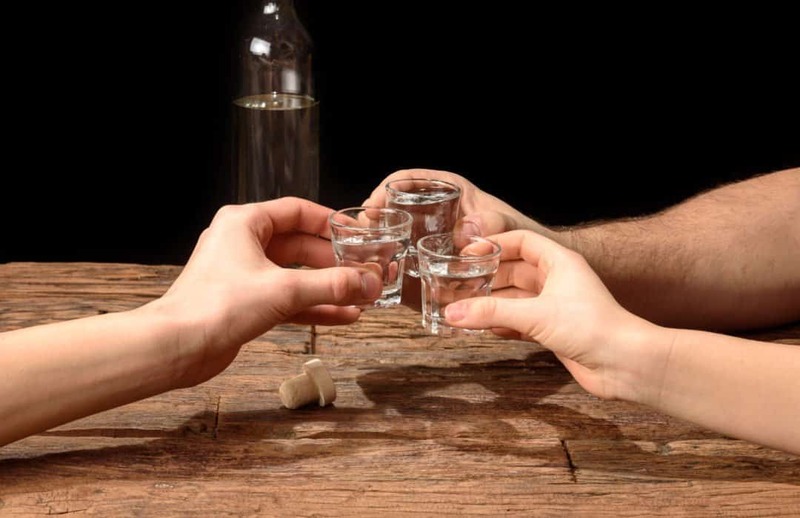 There’s a lot more to vodka than poor college decisions, especially with the craft revolution. Put down your Screwdrivers and take note, Tippler Nation! First, you need to select ingredients to distill into vodka. Vodka can be made from virtually anything. Hold up… step away from the kale because there are some basic requirements. The base ingredients must contain sugar (or starch to turn into sugar), key ingredients for fermentation. Most producers make vodka using grains/starches or fruit…primarily wheat, corn, potatoes, and grapes but many craft distilleries are using innovative ingredients such as sugar cane, rice, wine and even quinoa. 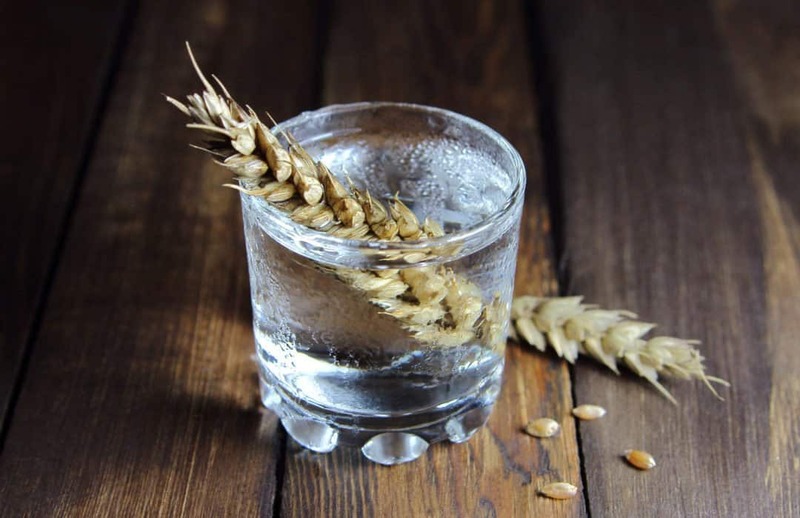 If you are making vodka from grains or potatoes, you first need to heat the ingredients in hot water to produce a mash and then add enzymes that break down the starches into fermentable sugars. Grape- or fruit-based vodkas already contain sugars needed for fermentation so they get to skip the mash step. Why is sugar so important, you ask? This leads us down the road of the basic fermentation and distillation process. Since this is a rather meaty and fun topic in itself, check out our separate Distilling 101 article for the deep dive. 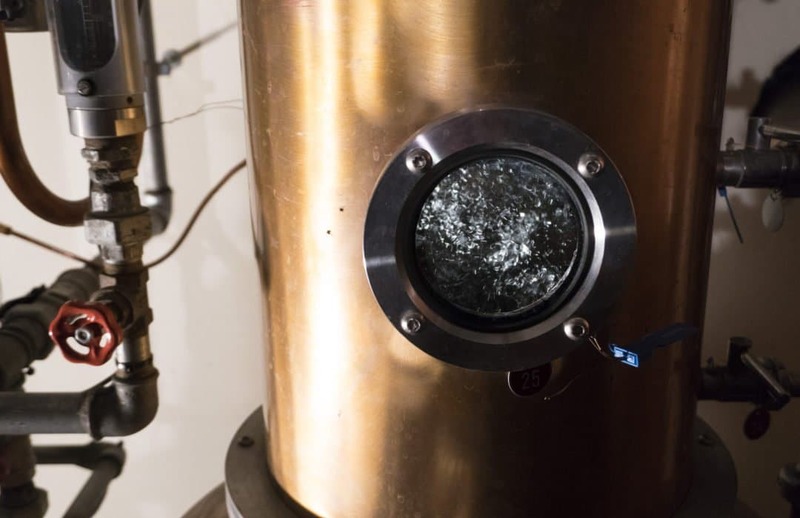 These phases of the process are not unique to vodka and really apply to all spirits, so we figured it was a good reference point to stand on it’s own…but back to the vodka specifics! So once the mash is fermented and distilled, the vodka is cooled to room temperature to check the alcohol content and purity. This is particularly important for vodka, because it is the only spirit that is solely defined by it’s alcohol by volume (ABV). The spirit must reach a minimum 95% ABV to be legally defined as vodka. This is the only requirement for vodka whereas other spirits have additional requirements on top of the ABV (i.e. Gin must have a main flavor characteristic derived from juniper berries, Bourbon must start as a fermented mash of at least 51% corn, etc…). Vodka is unique in that it has no legal requirement beyond a minimum ABV of 95%…which is why it can be made from lots of different ingredients! So once the spirit comes off the spirit still, if it has a low alcohol content distillers repeat the distillation process to raise the alcohol concentration. i.e. taking more water out. If it has too high of an ABV distillers add water to dilute it down to a lower desired alcohol percentage. Next, to remove flavors or aromas distillers often run vodka through filters until it obtains the desired flavor (or flavorless) profile. This is where there is some debate, particularly in the craft vodka world. Many craft distillers insist that vodka already has a neutral flavor profile if you’re making it right. They argue that if you’re starting with quality ingredients and following a good process you shouldn’t have to filter it at all. That would just take the essence out of the vodka that you worked so hard to create! Personally, we’re pretty big fans of this thinking and have tasted some delicious, unfiltered craft vodkas recently. The Crafty Cask is fully supportive of this unfiltered movement! You heard it here first…as this filter debate and increase in vodka quality continues we think people are going to start sipping on straight vodka in the future. 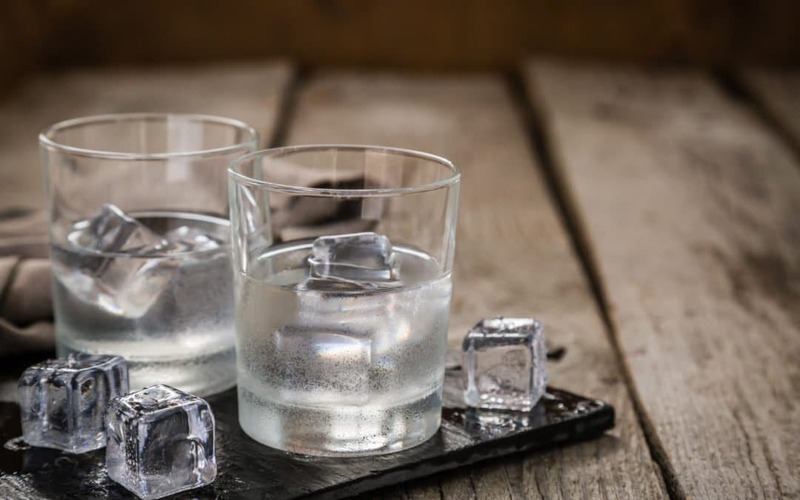 In reality, great vodka doesn’t truly taste like “nothing.” While it’s always neutral, different vodkas do have different, nuanced flavor profiles and essences, which are really fun to explore. So now that we’re ready to drink…let’s get into it these subtle taste differences. Grain-based vodkas often have hop-like aromas and taste, whereas potato-based vodkas taste buttery. And if you ever have the chance to compare a grape-based vodka with a wine-based vodka? Pretty interesting despite the similar starting point! Anyone who spent their college days drinking vodka and orange juice should try tasting high-quality, craft vodka on its own before mixing it into cocktails to learn what it really has to offer. So where do you lie on the vodka spectrum? Excited for it to start getting more attention so you can find ones to sip straight? Or rooting for it to never change from the flavorless, cocktail only star that it currently is? Share your thoughts with The Crafty Cask team. And if you already have a favorite sipping vodka, please spread the love by telling us about it below!